Just wanted to give a shout out to a program I rely on daily. It's called Dropbox and it's a desktop utility that automatically syncs folders between my computer and the web, and then automatically updates the files with my other computers. I can also share folders with friends, so when I'm collaborating on projects, I just dump files into a folder and they automatically sync with whoever I've shared the folder with. Now, this sounds great in theory, but does it really work? YES! There are few utilities that run smoothly in the background, have no issues, and actually work consistently. Fortunately this is one of them. As you may know, I'm extremely demanding and finicky with the technology and programs I use, and I have no complaints here. 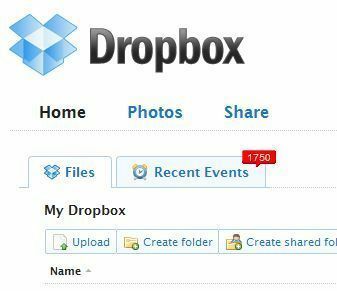 Dropbox is one of the few utilities, along with Clip2Net and LogMeIn Free, that I use daily - these utilities have changed my workflow for the better. Thanks Dropbox! Check them out here.